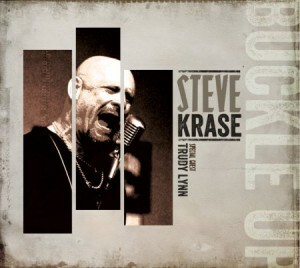 Steve Krase was a finalist in the 2004 and 2005 IBCs and with this CD we can see why. His style is no holds barred and his songs are meant to be listened to loud. Krase does the lead vocals and harp work; joining him on guitar is James Henry, on bass is Terry Dry, on drums is Michael Morris, on keys is Bobby Markoff and Trudy Lynn appears on a couple of songs on vocals. A few other friends and relatives of Steve stop by for a song or two or three, and all in all the band here makes a a great musical sound. “Jolene” gets things off to a red hot, rockabilly start. Krase blasts out the lead vocals with effect and Marknoff gives a great performance on the piano lead. Krase then cuts in with a solid harp solo and I was all set to listen to a very cool album! Cherae Lerie offes up nce backing vocals and James Henry on guitar is super. The band cools it off a bit with “Daddy Drives a Cadillac (Mama Rides A Mule)” with harp and slide intro-ing the song. Krase explains to us that the relationship got this way because he’d have to bail his lady out for driving too fast but by song’s end things are reversed. The song is more of a bluesy southern rocker and it’s enjoyable. Krase along with Trudy Lynn offer up a rocking cover of Willie Dixon’s “I Just Want to Make Love to You” with a huge, greasy harp, strident vocals, big guitar and a huge, driving beat. “Misery” follows, a straight up blues cut where Krase testifies of his of being tired of living in misery. Big harp solos here and he follows that up with “Night Train (From Oakland),” penned by his old band mate Jerry Lightfoot. Staying with the deep blues, this cut is a very heavy slow blues; Krase emotes well with the vocal lead and then Henry offers an extended and luxurious guitar lead for us to savor. “Blueshound” gets more into the road song mode and Krase is comfy in his approach to the cut. “I Like Them All” is a semi-comical number where Krase explains to his woman how he likes them all. Another big guitar solo and then the harp before the guitar returns make this rollicking song a fun ride. “Buckle Up” gets traditional in approach as he tells his woman to buckle up for the ride that he’ll deliver up ahead. “Big Bad Woman” takes us back to a rockabilly sound and Krase is again cool in his approach to swinging and jiving. It’s a fun cut that Krase handles well. He concludes with “Now,” a song he wrote which is jazzy and almost sublime. It begins with a big harp intro backed by a nice groove but then we realize it’s an instrumental and Krase carries it off well. 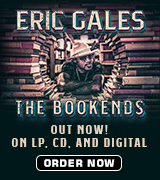 His harmonica work is effective and he offers up a very cool song to close with . 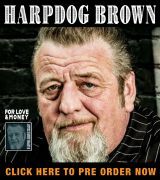 If you like blues harp with a big and in your face style, go out and grab a copy. I enjoyed the album and I think you will, too!